Your single-source solution for Quick Service Restaurant and Drive-Thru needs. Effective communications are crucial to the success of your quick service restaurant and drive-thru business. To operate at peak performance, you need quick solutions and reliable equipment. No worries — Functional Communications and Mood have got you covered. Completely. We provide quality repairs on all equipment and the most comprehensive and flexible maintenance plans available to suit your needs. Servicing thousands of businesses across the region, we know what it takes to help you succeed. You might even start to wonder what you did without us. Want to save money? Want an easy way to keep your drive thru equipment working? 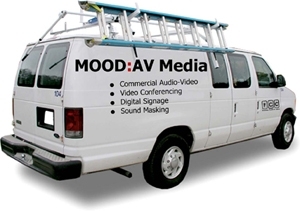 Ask your local Functional Communications Representative about our Mood Drive Thru Maintenance Programs. Crew members, managers, and owner/operators tell us how easy the program is to use and that they’ll never run a restaurant without it. We overnight advance replace any defective component that renders your drive thru system inoperable, and you return your defective unit to us — it’s that simple. Keep your headsets, base station, and timer running at peak performance and increase order accuracy, minimize operational down time-make more money in your drive thru lane with high quality drive thru audio communications. There are multiple programs and pricing to choose from; find the one that fits you, and leave the rest to us. Poorly functioning speakers and headsets can ruin your customers’ drive-thru experience and damage your brand image. Not to worry — Functional Communications keeps your drive-thru up and running. 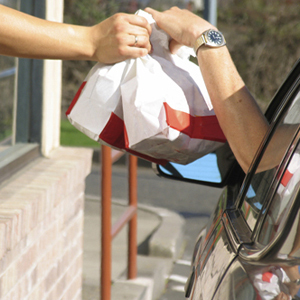 In addition to commercial sound systems, the QSR Performance Solutions team is the source for all your drive-thru and quick service restaurant needs. Enhance employee productivity with a fully digital wireless headset. Focus your crew on prompt service with speed of service timers. To learn more about our support and dependable maintenance programs, call your local Functional Communications office. Click here to view our Drive Thru System Partners.